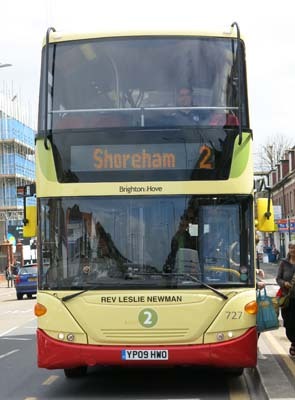 Connections with Brighton and Hove : The Rev Dr Leslie Newman was a prominent Methodist in Brighton between 1953 and 1967. Born in 1904, he quickly became a minister and attracted a large following in Newcastle where he became known as an inspirational preacher. 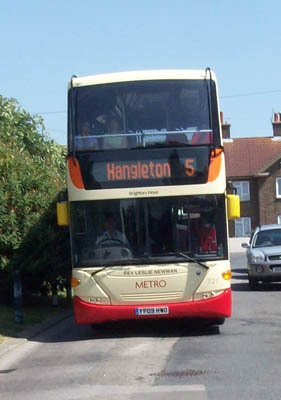 Moving to Brighton, he became a familiar figure as superintendent of the Dome Mission. He preached sermons to Labour Party members when they held their conference church services in the town. In 1966 he ordered the organ to be blown at full blast when CND supporters heckled the Prime Minister, Harold Wilson, and his deputy, George Brown, during a service. He apologised to the congregation for the disruption and said he had never seen anything like it. He called the behaviour of Harold Wilson magnificent. But Newman declined an invitation to prosecute the demonstrators, saying he would feel uncomfortable in his soul if he did so. 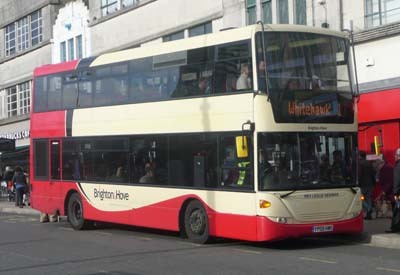 Newman attracted new members to the church and also wrote a column in the Evening Argus dealing with problems sent in by the public, He retired in 1967 after a long period in charge at Brighton. In retirement he opposed union between the Anglicans and Methodists. He died aged 82. 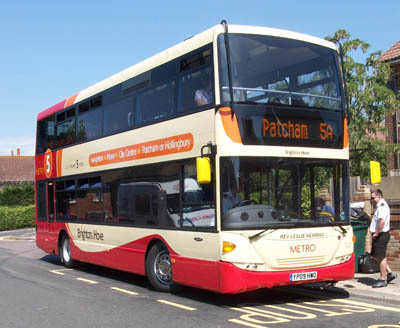 727 Scania Omnicity - carried name since delivery in June 2009 om Metro 5. Metro 5 branding removed November 2013. 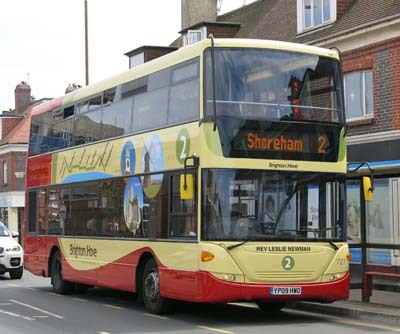 Repainted into Route 2 livery April 2014. 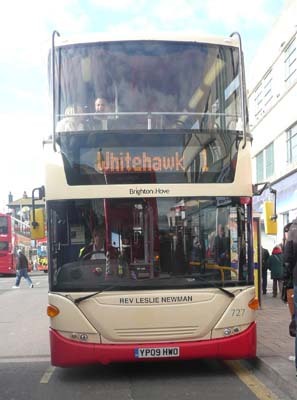 Bus sold in November 2017.